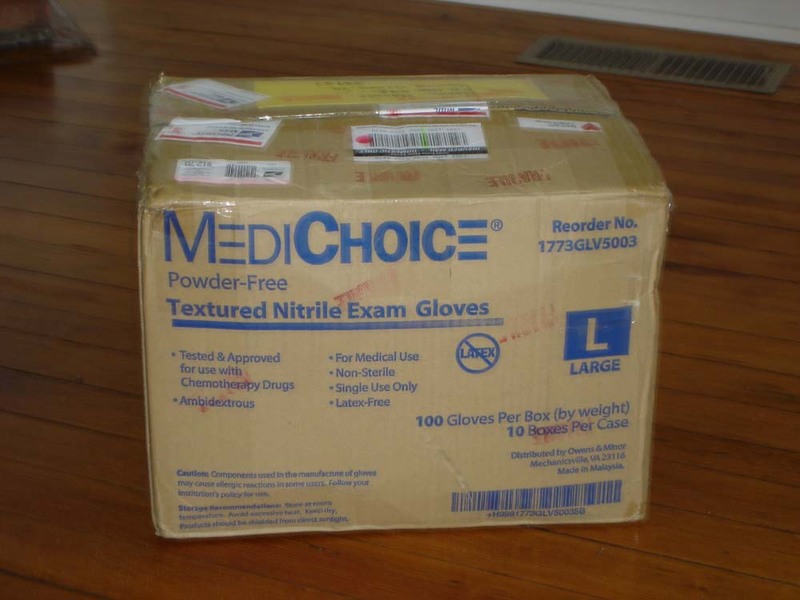 I’ll Take Box #1 Please Monty! Today I went to the post office and this was waiting for me! 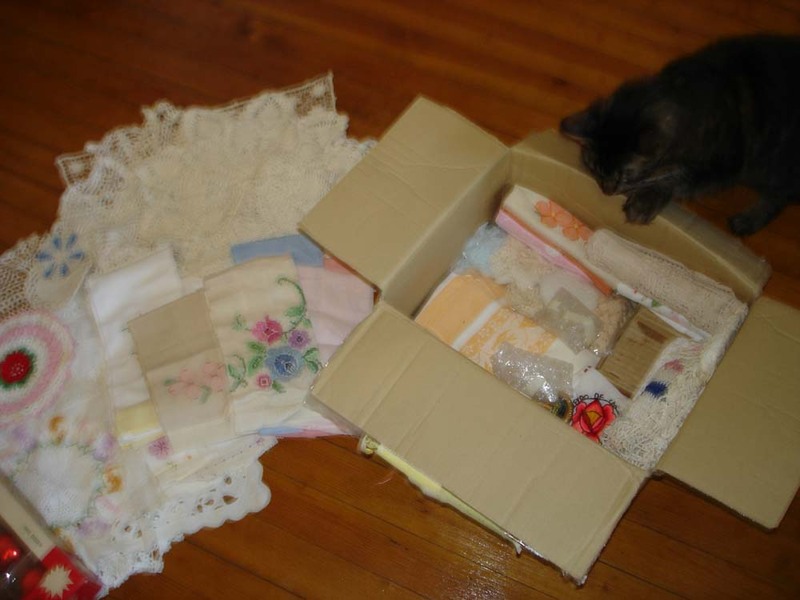 It is a box full of goodies from my friend Linda, who acts as a “buyer” for me. She knows just what I like and sends me really neat stuff. Today we are going to look at what’s in the box, as soon as Miss Golightly finishes her nap!!!! Please Holly make it a catnap, I’m itching to see what’s in there. 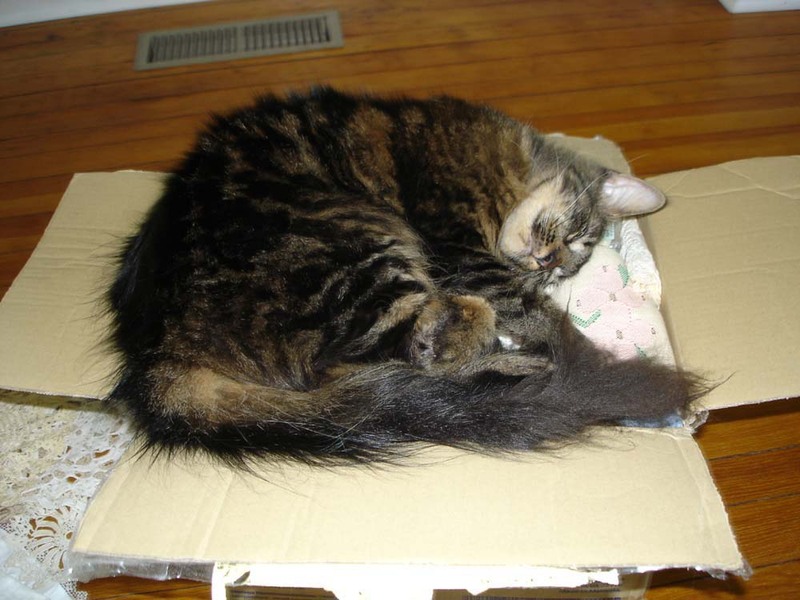 I am not lying when I say she slept on my box for over 4 hours!!! I did the laundry, answered my emails, ate lunch, took a nap and played on polyvore until she woke up and got off my stuff. Now for the goodies inside. Naturally “herself” had to help me. UGGGHHHH! 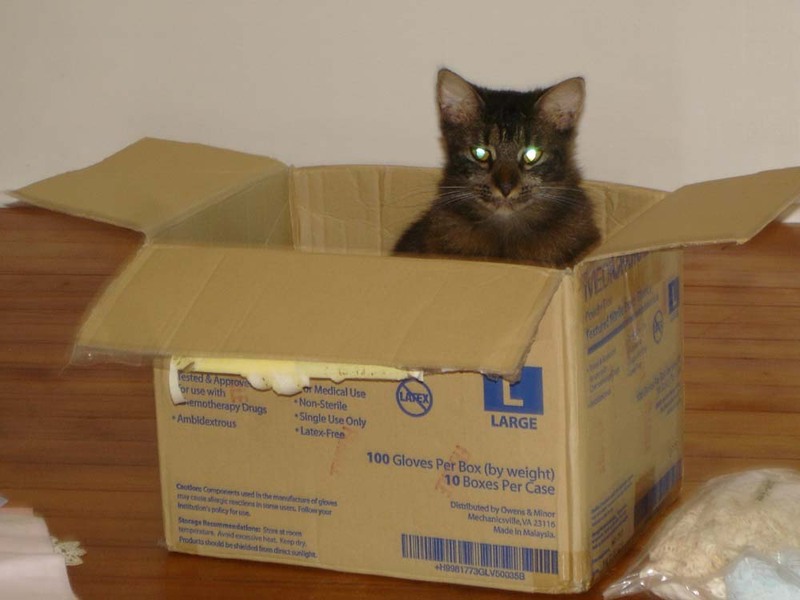 The box was crammed full of goodies. 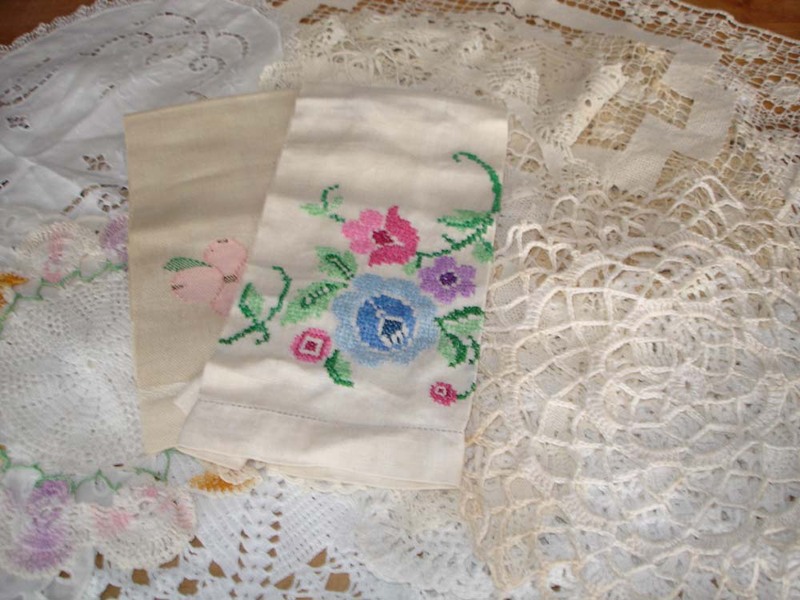 Doilies, hankies, Christmas goodies, etc… I put together a few things for you to see. 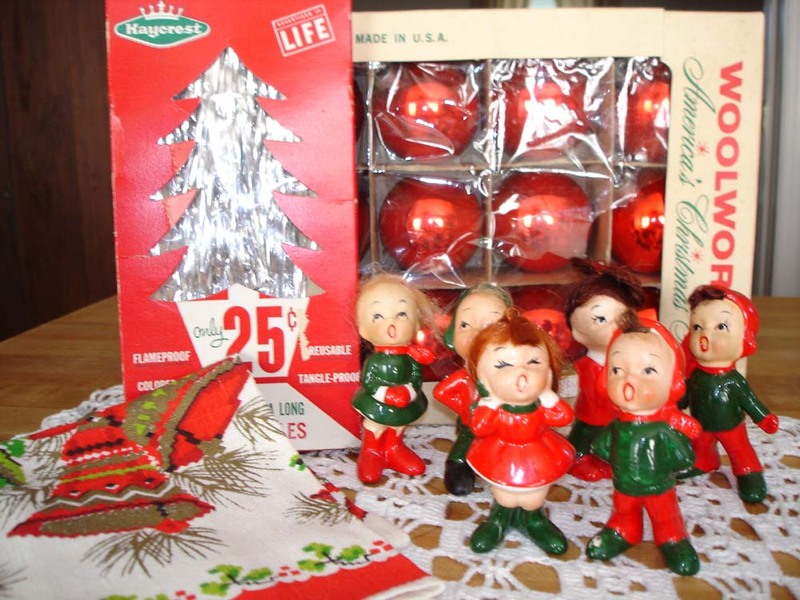 First off are some of the retro looking Christmas items. The figurines are adorable and look at the original price on the icicles!! Cute, no? 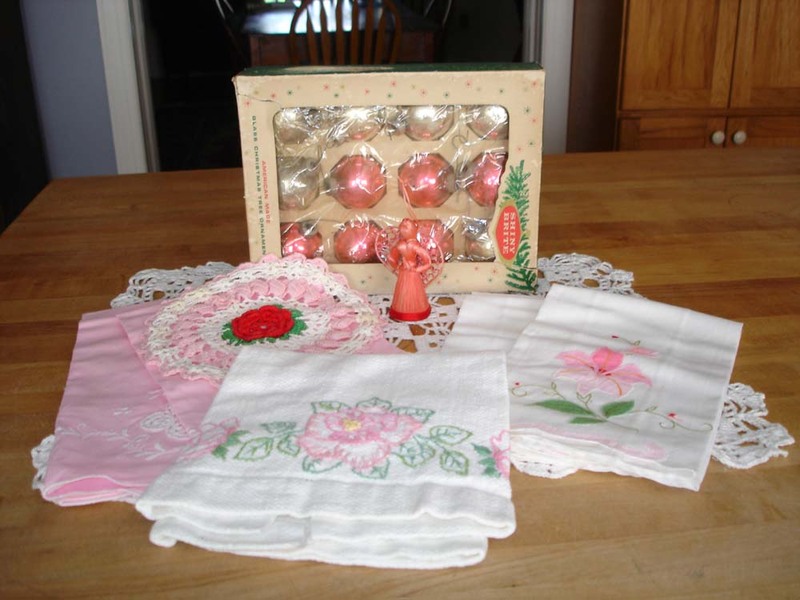 Next up is some pinky, girly Christmas items. 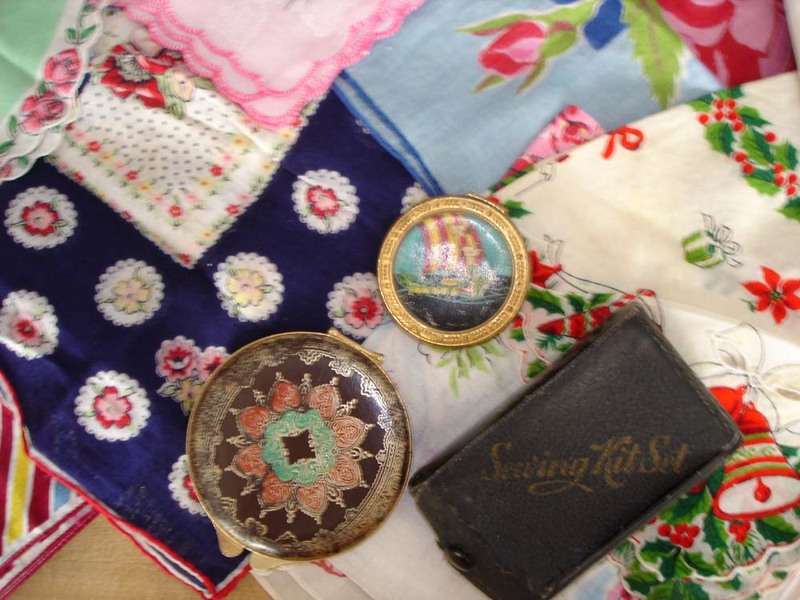 Okay, now comes a bunch of pretty hankies, 2 compacts and a sewing kit. And then an awesome amount of amazing doilies. And last but not least, Holly and I would like to thank Linda for all her hard work finding and shipping all these goodies to us. What great pictures-how cute it all looked in the photos, It maybe easier for me to be a picker for you with the linens rather than me having to wash, starch & iron them all! Thought you would love the Christmas girls-found those at a yard sale at Hillsville! It’s always good to have a helping hand, but four paws tops all!